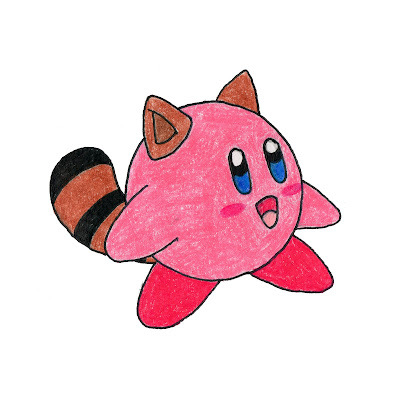 I have always wondered why Nintendo never incorporated the Tanooki suit into the various Kirby video games. Kirby has hundreds of possible suit varieties. Why not use the original 'special' suit, as featured in Super Mario Bros. 3? Well, here's what I think Kirby would look like if he inhaled the Tanooki suit.